Kathimerini newspaper Sunday edition. 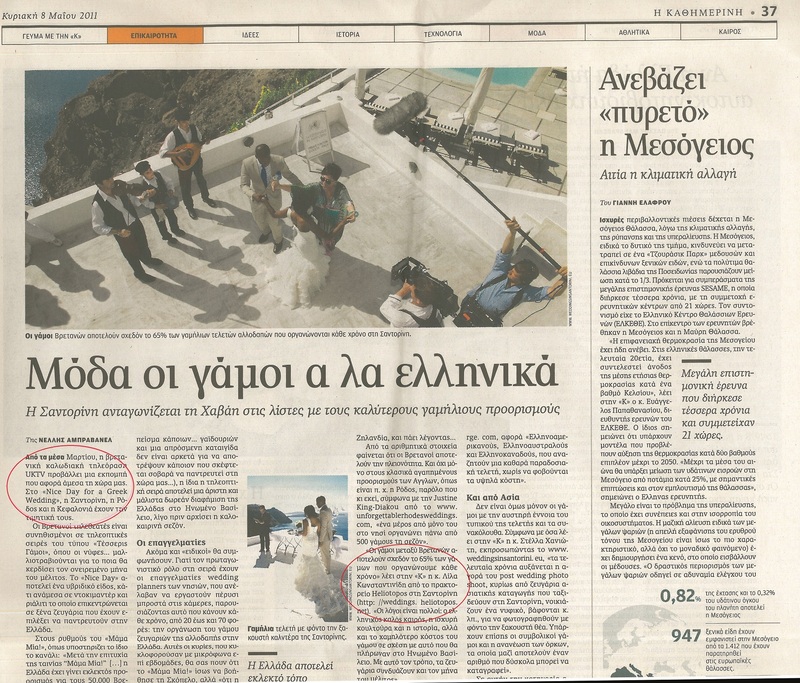 Article about the UKTV that Lila participated in the documentary reality -“A Nice day for a Greek Wedding”. Also photo of Lila at newspaper’s front page.